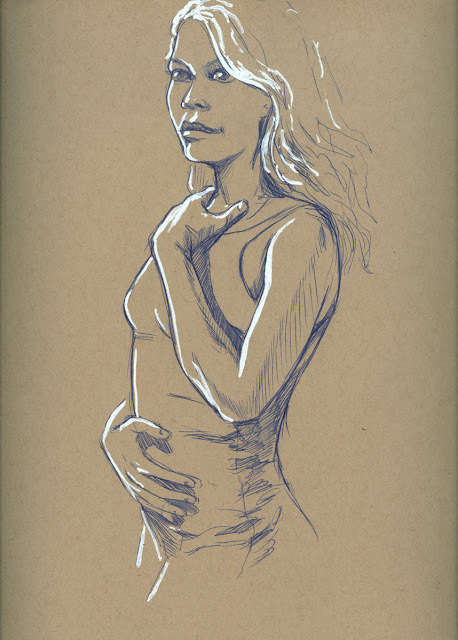 Carmen M'Knoxide at Dr. Sketchy CLE's Halloween Spooktacular. 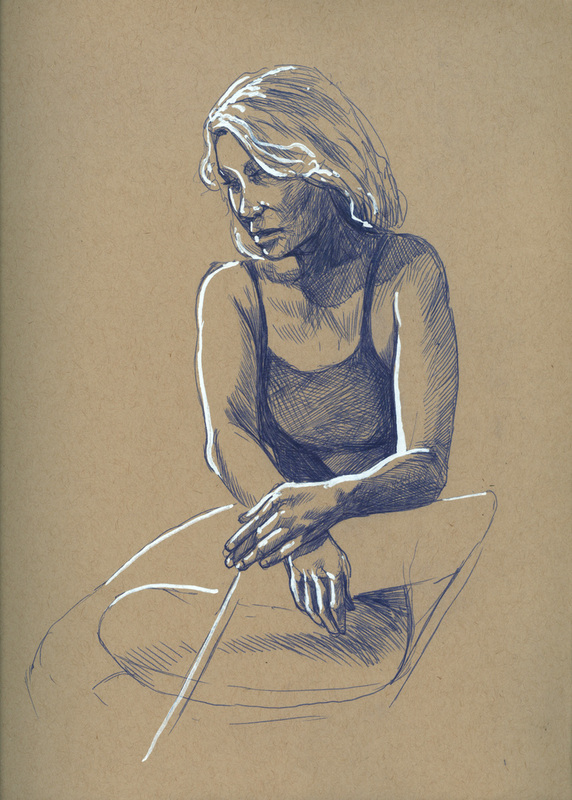 Blue Ballpoint pen and whiteout. 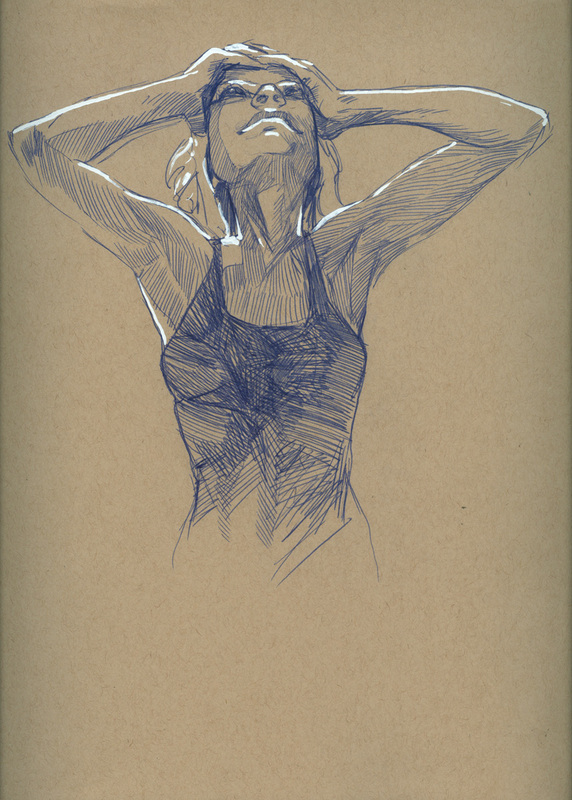 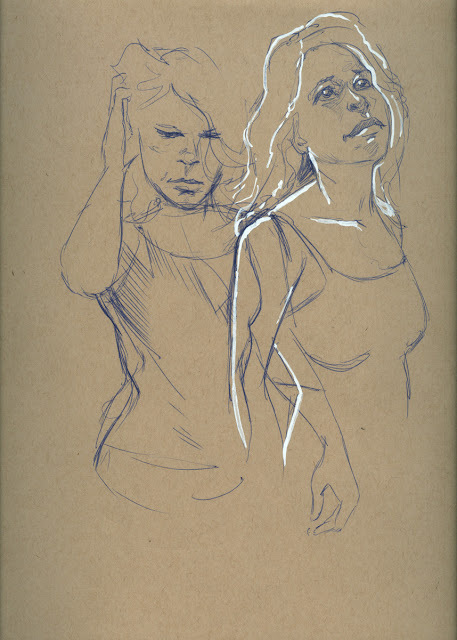 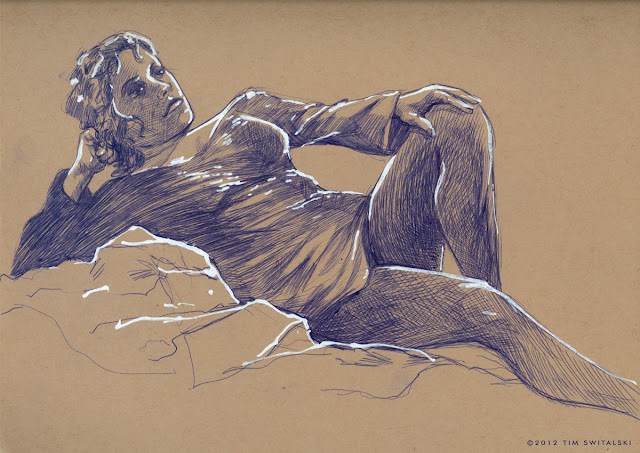 Blue Ballpoint pen and whiteout, on tan toned paper.